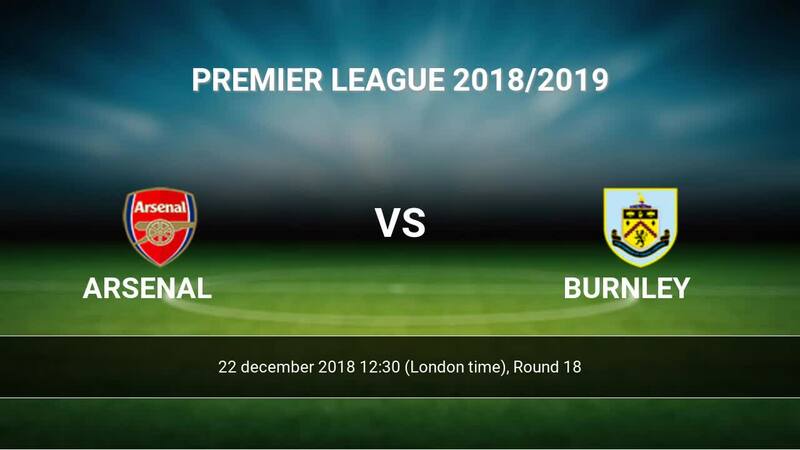 Kick off Arsenal-Burnley in Premier League on today 12:30. Referee in the match will be Kevin Friend. Team Arsenal is at the top place in the table (5 place). Form team looks like this: In the last 5 matches (league + cup) gain 10 points. at home from 8 matches team have not been defeated. The most goals in Premier League for Arsenal scored: Pierre-Emerick Aubameyang 10 goals, Alexandre Lacazette 6 goals, Henrik Mkhitaryan 4 goals. Players with the most assists: Pierre-Emerick Aubameyang 3 assists, Alexandre Lacazette 3 assists, Henrik Mkhitaryan 1 assists. In Arsenal not occur in the match due to injury: Hector Bellerin, Rob Holding, Shkodran Mustafi, Danny Welbeck, Konstantinos Mavropanos, Emile Smith Rowe. Team Burnley is in the releagtion zone of the table. 18 position. 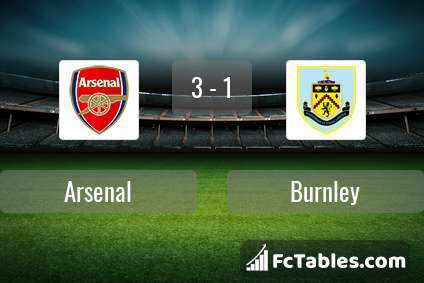 Burnley in 5 last matches (league + cup) have collected3 points. From 5 matches away can't win a match. The best players Burnley in Premier League, who scored the most goals for the club: James Tarkowski 3 goals, Sam Vokes 3 goals, Johann Berg Gudmundsson 2 goals. Players with the most assists: , Johann Berg Gudmundsson 4 assists. Injured players Burnley: Stephen Ward, Aaron Lennon. Direct matches: usually ended with winning of Arsenal. 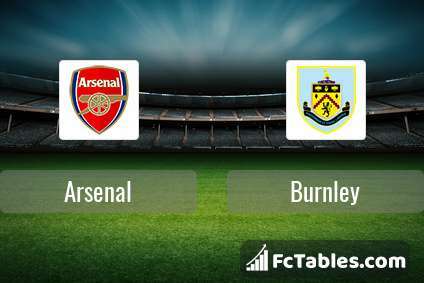 Balace of both teams games are: 10 won Arsenal, 1 wins Burnley, 1 draws. 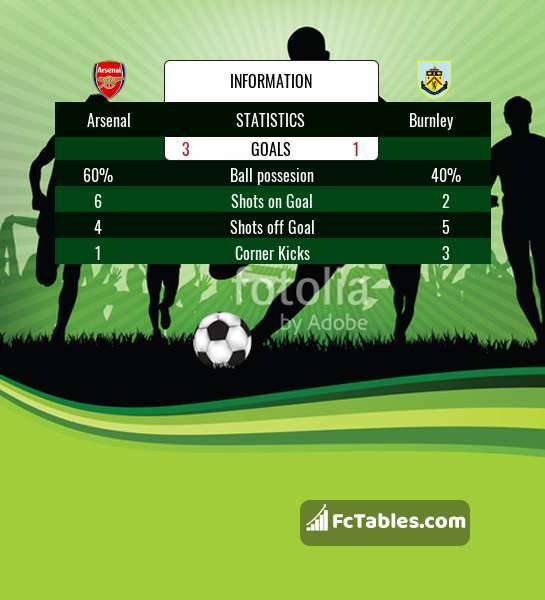 In 6 matches the sum of the goals both teams was greater than 2.5 (Over 2.5). On the other hand, 9 matches teams scored more than 1.5 goals (Over 1.5). In 4 matches the both teams have shot at least one goal.